TV with Thinus: Carte Blanche on M-Net interviews South Africa;s Hollywood actor Sharlto Copley on Sunday night at 19:00. 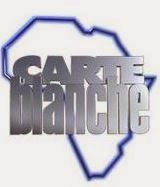 Carte Blanche on M-Net interviews South Africa;s Hollywood actor Sharlto Copley on Sunday night at 19:00. Carte Blanche on M-Net (DStv 101) on Sunday night at 19:00 will have an interview with the South African actor Sharlto Copley who've made a name for himself in Hollywood the last few years. The very recently secured interview for the weekly news magazine show with Sharlto Copley comes on the same night that M-Net will show the movie Elysium at 20:00 in which Sharlto Copley appears and which was directed by his friend Neill Blomkamp. "The Carte Blanche interview with Sharlo is quite a coup," says Lani Lombard, M-Net's head of publicity. "For the first time on South African television, Sharlo shares personal pictures, anecdotes and behind-the-scenes stories from his awe-inspiring career". "Furthermore, it's fascinating to hear how Sharlto and his long-time friend, director Neill Blomkamp, have integrated our culture and 'South-African-ness' into their movies and how they grafted for many years before their big break into the international scene. It's indeed a must-see interview". Carte Blanche caught ip with Sharlo shortly after wrapping in South Africa for the latest Neill Blomkamp feature, Chappie.